This item can positively detect drugs, explosives, weapons, currency and much more. Its typical application field is the inspection of tires, car doors, fuel tanks, wall and lined containers, aircraft, trucks, caravans, bus, trains etc. Identical packages, flower shipments, boats and ships, freight container. 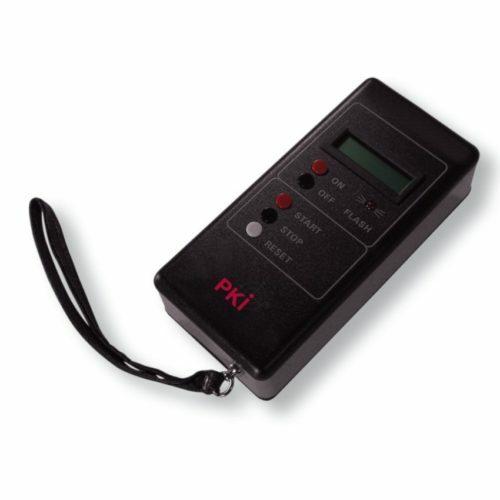 Principle of Operation: PKI Contraband Detector measures the mass density of the inspected objects and indicates the difference in density between illegally hidden goods (drugs, explosives, weapons, currency, etc.) and the object in which the contraband is hidden. For example, an “empty” tire filled with air and a tire filled with drugs give different results or an “empty” cross member in a freight container stuffed with contraband indicates a different density then a full one. It also detects radioactive materials. The PKI Contraband Detector directs a beam of energy into the inspected object. A filled space reflects back more energy than an empty space. As PKI Contraband Detector is moved across the surface of the object, the measurement is displayed on a digital LCD and an alarm is given if the density changes or radioactive material is encountered.